The 2019 Union Plus Scholarship is now closed. Over 2,900 families have benefited from our commitment to higher education. The Union Plus Scholarship Program is offered through the Union Plus Education Foundation, supported in part by contributions from the provider of the Union Plus Credit Card. (You do not need to be a Union Plus Credit Card holder to apply for this scholarship.) See eligibility in the tab below. Current and retired members of participating unions, their spouses and their dependent children (as defined by IRS regulations). At least one year of continuous union membership by the applicant, applicant's spouse or parent (if applicant is a dependent). The one year membership minimum must be satisfied by May 31, 2019. See more details on eligibility in the tab below. Amounts range from $500 to $4,000. These one-time cash awards are for study beginning in the Fall of 2019. Students may re-apply each year. 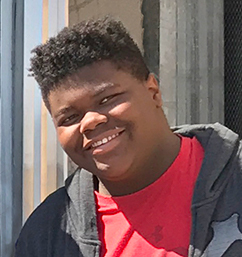 Union Plus is proud to announce the creation of Isaiah's Award, to honor the exceptional life of Isaiah C., a beloved child, fostered and adopted by a current, long-time employee of Union Plus. Isaiah was a smart, talented, spiritual, generous and kind young man. It is our wish that his gentle spirit live on, in part, through this namesake scholarship. Applicants for Isaiah's Award must have a special connection to the foster care system, and will be asked in their application to describe their personal, employment, volunteer experiences, or career goals related to the foster care system. The Scholarship Committee will determine recipients of scholarship awards by May 31 each year. During the first week of June award recipients will be individually notified by mail, and all applicants will be sent an email with notification that the award list is posted. Please note that due to the volume of applications we cannot provide any information on the status of an application before award announcements are made. The students selected for university, college, trade or technical school scholarships represent a wide sampling of backgrounds, union affiliations, goals and accomplishments. The selection process is very competitive since we receive over 5,000 applications each year. The Union Plus Education Foundation has awarded more than $4.3 million in scholarships to students of union families. Over 2,900 union families have benefited from our commitment to higher education. With the help of donations from union supporters, the Foundation can help even more union families attain their education goals. Learn more about the Union Plus Education Foundation. The Union Plus Free College Benefit makes it possible for you and your family members to earn an associate degree completely online — for FREE! Take advantage of this accessible, debt-free and convenient higher education opportunity. In 2017, 106 union members and union family members were awarded $150,000 in Union Plus Scholarships, ranging from $500 to $4,000. In 2018, 115 union members and union family members were awarded $150,000 in Union Plus Scholarships, ranging from $500 to $4,000. Scholarship Timeline: Applications due January 31, Applications reviewed February to May. Award notifications are made on May 31, and the award winner list is posted online the first week of June. Create an online account and login. *Note — You may return to your application as many times as needed to complete prior to the deadline.